Contains less halogens and metal ingredients meeting RDT F-7-3T requirements and is certified non toxic. Paint dries quickly and can mark metal, concrete, wood, rubber between -40 F to 212 F. Alcohol based cleaners will remove paint from non pourous sufaces. 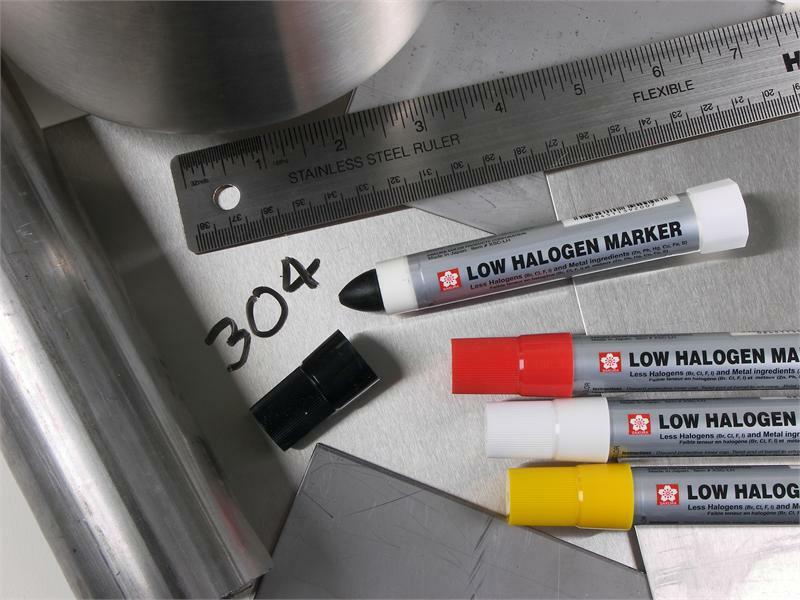 Use on underground, stainless steel, petrochemical, aerospace applications. 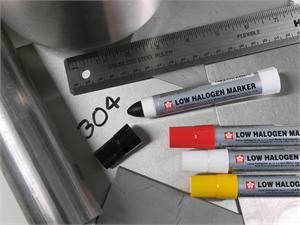 An excellent marker and the only solid paint, low chloride, low halogen marker available.